As told by ‘people familiar with the matter‘ to the The Wall Street Journal, the first of these new Nintendo Switch 2 consoles will be a souped-up, upgraded console laden with "enhanced features targeted at avid videogamers", while the second system will be a cheaper option aimed at casual gamers. The new split range of new Nintendo Switch 2 consoles apparently comes from a desire by Kyoto-based game maker to replicate the New Nintendo 3DS XL and Nintendo 2DS market model that proved so successful for the firm last handheld generation. Therefore, one of the new consoles will be an upgraded system that is more powerful than the original Nintendo Switch, although "it won't be as powerful as Sony Corp.'s PlayStation 4 Pro or Microsoft Corp.'s Xbox One X", and the other machine will be a sturdier, child friendly system where more advanced features will be cut to save costs. 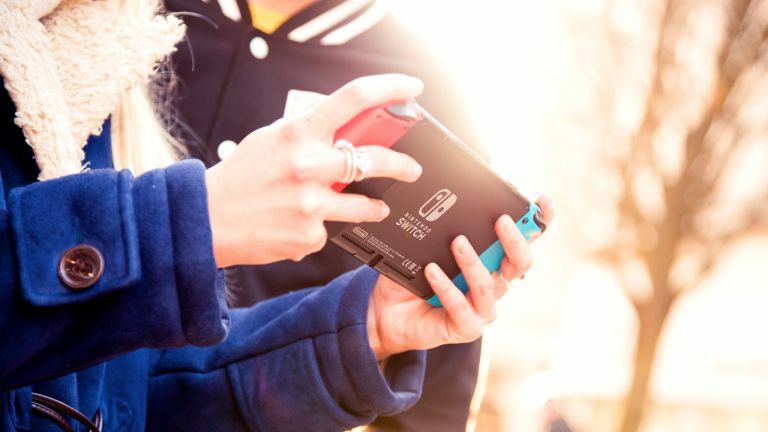 By delivering gamers two new Nintendo Switch 2 consoles instead of one, Nintendo therefore offers serious players a proper upgrade to get added value out of their Nintendo Switch games collection, while also making it easier for 2DS or 2DS XL owners to make the jump to the Switch - both of which will help inject a shot of momentum into the platform, which right now is suffering from dwindling sales. Now, as regular readers of T3 will know, this idea that Nintendo could launch two new Switch consoles is nothing new, with us reporting on how the Nintendo Switch 2 Pro and Switch 2 Lite would launch this year ahead of the PS5 back in January. We also reported that the launch might happen much sooner than we all thought, too. This new report, though, does help clarify Nintendo's thinking somewhat regarding the cheaper, casual gamer-targeted console. What the new report doesn't advance, though, is our understanding of the upgraded new Nintendo Switch 2 console's hardware and potential performance. Back in January the word in the Switch rumour mill was that the new console would have an upgraded 1080p OLED touchscreen display (the original Switch only has a 720p LCD one), however no other specs were forthcoming, something that hasn't changed. Rumours indicate that the upgraded new Nintendo Switch 2 console will feature a 1080p OLED touchscreen display. It is not surprising that the upgraded new Nintendo Switch 2 console won't be as powerful, as The WSJ report indicates, as the PS4 Pro or Xbox One X, as generation-leading graphics is something Nintendo hasn't done for a very, very long time. The 4K powerhouse Nintendo Switch depicted in the image above is something you shouldn't be holding out for. However, with the PlayStation 5 and next Xbox flagship reportedly landing next year, there's no reason to say the Switch couldn't deliver something approaching a standard PS4 or Xbox One experience in terms of graphical performance, which would really help maintain interest in the Switch as we approach the dawn of the next console generation both from a gamer's point of view, as well as from publishers and game makers themselves, as it would make porting existing titles to the Switch even more feasible. Of course, nothing is confirmed right now, however with E3 2019 rapidly approaching hopefully we will get the new Nintendo Switch 2 console range unveiling sooner rather than later in 2019.